If you thought I was about to launch into a love poem of note, worry no more – I am simply naming a few of the best loved songs by Irish boyband Westlife, who will be hitting the Hart van Windhoek stage tonight to serenade their local fans. With a career that spans 12 years, 44 million album sales and going from a quintet to a quartet (that’s 5 to 4 in average joe speak), Westlife have certainly proved that they are here to stay. Have you ever been to Namibia before? No, this will be our first trip to your country and we are extremely excited. We land the morning of the concert and will only be there for a day and a half, unfortunately because we have another concert. We would have loved the opportunity to see a bit of Namibia’s sights, but we are really looking forward to meeting local fans. Does it surprise you that Westlife is popular, even in a little known country like Namibia? Yeah. It is surprising actually. 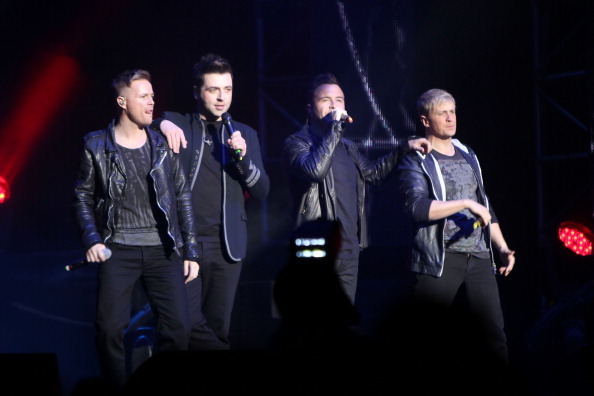 Westlife keeps being surprised with the scope and size of our fan base around the world. We are very proud of the fact and it is always nice to go to a new country and meet new people and fans. Some years back the band faced a bit of a crisis when Brian McFadden decided to go solo, what have you learned from the experience? It has been quite some time since Brian left but looking back it was definitely a tough period. A weird few months where we had to decide if we wanted to pick up the pieces and carry on. We decided to keep going. We were disappointed but we had to respect Brian’s choice to focus on other aspects of his life and career. We don’t hold anything against him. He left amicably and there are no hard feelings. The experience though taught us to stick together, to respect each other more even and to really understand each other. We knew if one more member decided to leave it would be over for Westlife. So we decided to forget the past and focus on the future. With four unique opinions and ideas, how does Westlife manage the creative differences which must surely crop up from time to time? I think we have to have some sort of a democracy. We disagree all the time, it is only natural when dealing with four different opinions but our management and record company and people in the background guide and advise us. At the end of the day it boils down to the four of us. It sometimes takes time but we always work things out in the end. and we didn’t really have time to think about it much, I think that helped us a great deal. My God, there have been so many. I think the incredible success we have enjoyed has to be the highlight. It is amazing looking back, it’s pretty big. We still remain humble but we have had the opportunity to meet so many amazing people like Pope John Paul and Barack Obama. We’ve never met any president before so that was pretty cool. He is a really awesome man. Which artists or bands do you admire? At the moment, I am very into Justin Timberlake. He is a great musician. Bryan Adams, Bon Jovi, Rihanna – I think her new album is really good. Beyonce is one of my favourites. Coldplay, U2 – being Irish, they are iconic back home and we are very proud of them. Are you guys working on an album at the moment? Well we released ‘Gravity’ towards the end of last year so our next project will be a greatest hits album featuring all the fan favourites. What can local fans expect from your show tonight? Do you have a message for your local fans? Yes, we would like to thank all our fans for their support. We plan to put on a great show for you and we hope you enjoy the concert.